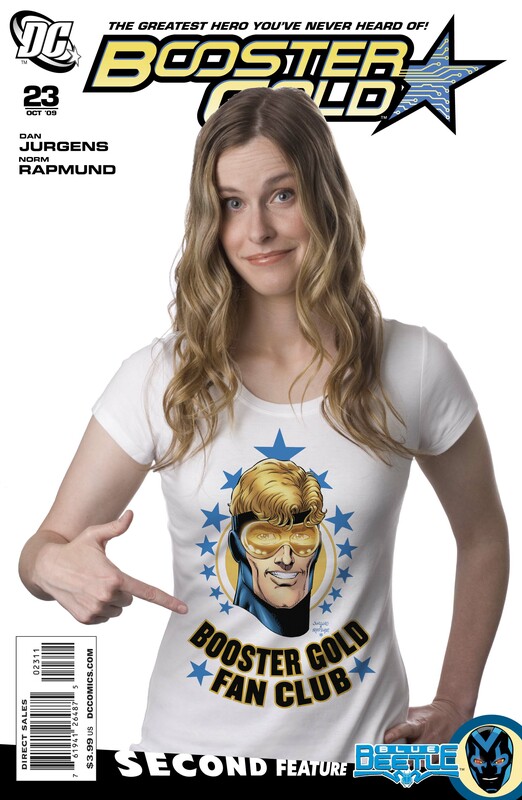 Blair Butler was featured on the cover of Booster Gold #23 (DC Comics). Blair Butler is a familiar face to viewers of the G4 television network. She regularly reviews new comics on her “Fresh Ink” segment on Attack of the Show and is a key part of the network’s live coverage of San Diego’s Comicon International each year. While she now lives and works in Los Angeles, she’s a Kansas City native. In fact, her father is Kansas City Star film critic Robert Butler. Butler has served as head writer of G4’s X-Play and has guest hosted the show. She has also worked as a stand-up comic, appearing on Comedy Central’s Premium Blend. 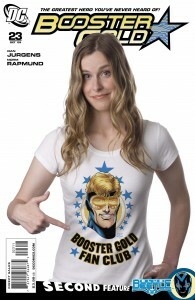 In 2009, Butler was featured in a photo cover for Booster Gold #23 (DC Comics). She launched her first foray into writing comic books with Heart (Image Comics), a four-issue limited series illustrated by Kansas City’s Kevin Mellon.